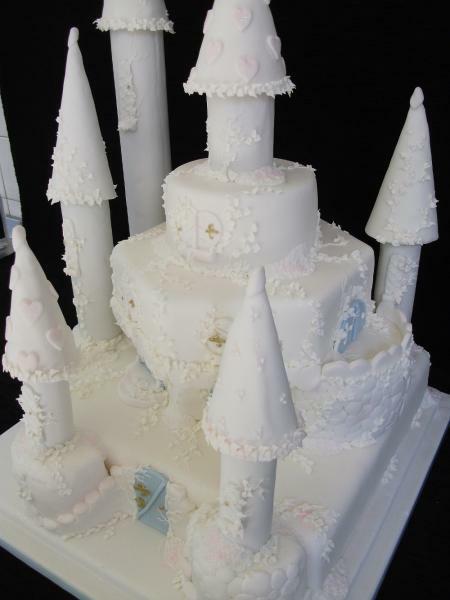 Make a statement none of your guests will forget with the ultimate in dream wedding cakes. 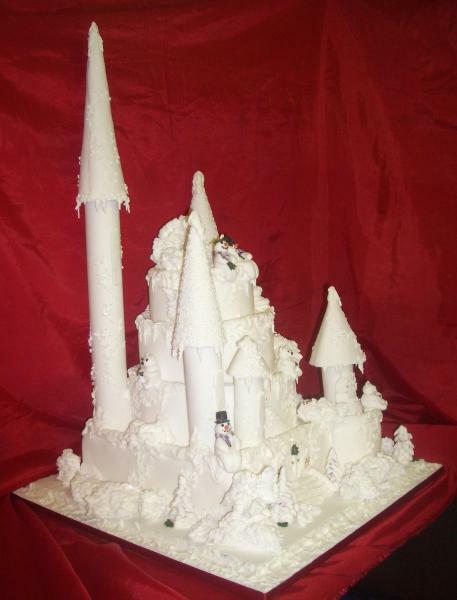 This fairy tale wedding cake can be made out of Finest Fruit Cake, Sponge Cake or a combination of the two, and decorated to your own taste and theme. 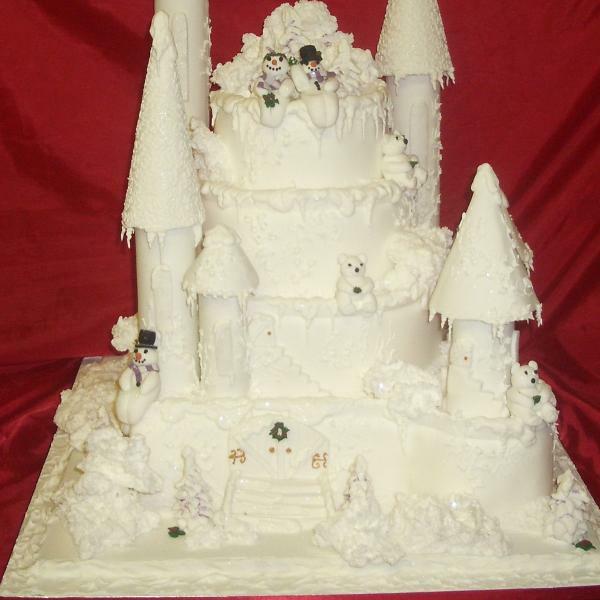 The design here was for a Christmas wedding, hence the winter theme, but other designs have included bride and groom figures, members of the wedding party or just the stand alone castle. 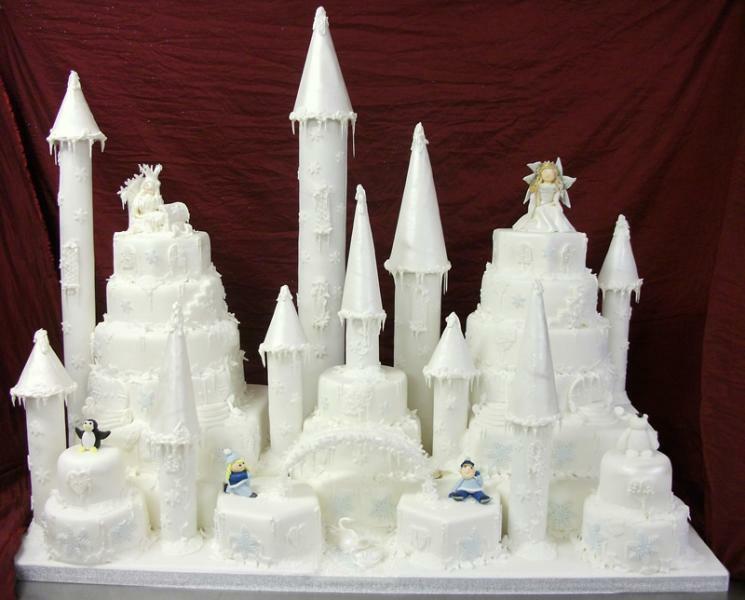 Smaller version of the Ultimate wedding castle. 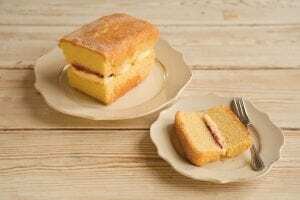 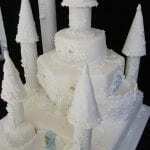 This consists of four tiers and can be made out of finest fruit cake, sponge cake or a combination of the two. 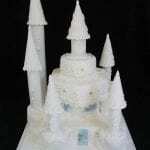 Personalised sugar paste figures of the bride and groom can also be added. 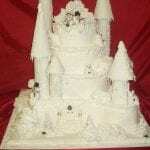 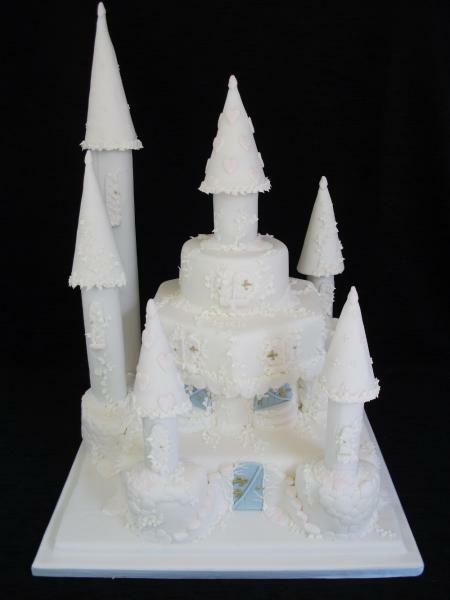 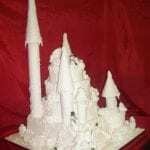 A four tiered stacked cake, elaborately decorated into a fairy tale castle.